This is a four-year research project (2015-2019) funded by an Insight Grant from the Social Sciences and Humanities Research Council of Canada to explore the emerging (dis)connections that take shape when complex problems such and gender inequality meet the policy process. 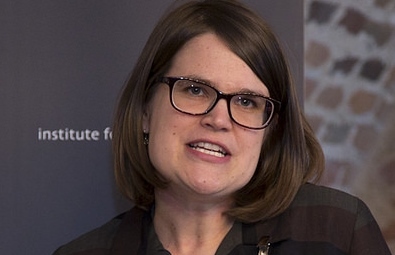 Heather MacRae is an Associate Professor in Political Science at York University, Toronto, Ontario, Canada. 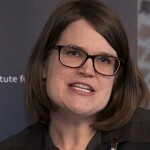 Her research focuses on gender politics in the European Union. Her publications include several book chapters as well as articles appearing in journals such as the Journal of Common Market Studies, West European Politics and Women’s Studies International Forum. Heather currently serves as a member-at-large on the governing board of the European Community Studies Association - Canada. 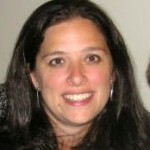 Elaine Weiner is an Associate Professor in Sociology at McGill University, Montreal, Quebec, Canada. Her research interests lie at the interstices of gender, work and Central and East European societies. She is the author of Market Dreams: Gender, Class and Capitalism in the Czech Republic (University of Michigan Press, 2007). She has also published chapters in various books as well as articles in journals such as Social Problems, Social Politics and Women’s Studies International Forum. Elaine currently serves on the editorial board of Women's Studies International Forum. Gill Allwood is Professor of Gender Politics at Nottingham Trent University and author of French Feminisms (UCL 1998), Women and Politics in France (Routledge 2000, with K. Wadia), Gender and Policy in France (Palgrave 2009, with K. Wadia) and Refugee Women in Britain and France (Manchester University Press 2010, with K. Wadia). She has also published a number of articles on gender mainstreaming and European Union external policy. Gill currently serves as editor of the Journal of Contemporary European Studies and the Journal of Modern and Contemporary France. Roberta Guerrina is a Reader in Politics at the University of Surrey, Guilford, UK. She is a European policy analyst with a particular interest in European social policy, citizenship policy and gender equality. She has published in the area of women’s human rights, work-life balance, identity politics and the idea of Europe. She is author of Mothering the Union (Manchester University Press 2005) and Europe: History, Ideas and Ideologies (Arnold 2002). 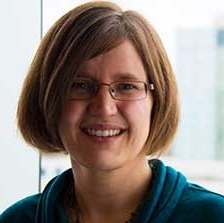 Johanna Kantola is an Academy Research Fellow in Gender Studies at the University of Helsinki, where she also holds a permanent position as a Senior Lecturer in Gender Studies. She has published extensively on gender, politics and the state. Her monographs include Gender and the European Union (Palgrave, 2010) and Feminists Theorize the State (Palgrave, 2006). She is the co-editor of the Oxford Handbook on Gender and Politics (OUP, 2012, with Georgina Waylen, Karen Celis and Laurel Weldon) and the co-editor of the Palgrave Gender and Politics Book Series (with Judith Squires). Johanna currently serves on the editorial board of the International Feminist Journal of Politics. She is also a member of the European Women's Lobby Working Group on Gender and Politics and part of the European Network of Experts on Gender Equality. 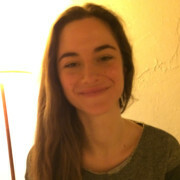 Emanuela Lombardo is an Associate Professor in the Department of Political Science and Adminstration II of Madrid Complutense University (Spain). 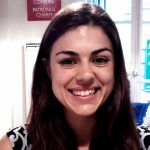 She has worked as a researcher on different European projects (European Commission FP4, FP5, and FP6, and POM Programs). 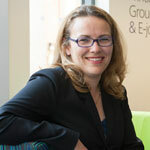 Her research concerns gender equality policies, particularly in the European Union and Spain. She has published articles in journals such as Comparative European Politics, Social Politics, European Journal of Women’s Studies, Feminist Review, Journal of Women Politics and Policy, Women’s Studies International Forum and International Feminist Journal of Politics. Her latest monograph, co-authored with Petra Meier, is The Symbolic Representation of Gender (Ashgate 2014). Ema also serves on the editorial board of the Journal of Women, Politics and Policy. 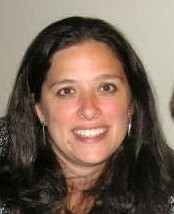 Rebecca Daviddi is currently a PhD student in Sociology at McGill University, Montreal, Quebec, Canada. She graduated with an MA in ‘Interdisciplinary Research and Studies on Eastern Europe’ from the Faculty of Political Sciences (Forlì campus), University of Bologna, Italy in 2014. Rebecca also holds a BA (2012) in Geography from the University of Leicester, United Kingdom. 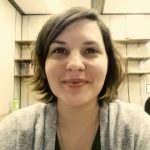 Her research interests include Eastern Europe and the post-communist space, non-governmental organizations, social/women’s movements, gender/feminist theory and qualitative research methods.